On any given day, you can ask every passenger on any given airliner what fare they’ve paid, and you’re likely to get as many different answers as the number of passengers willing (and able) to tell you. This plethora of fares is a product of complex revenue management systems evolved by airlines to optimize seat revenues. But is the current system of management the revenue endgame? 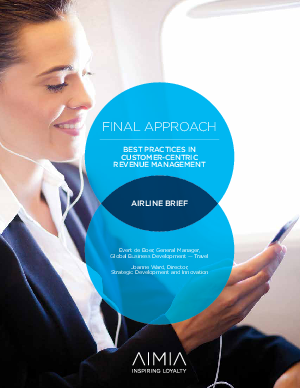 Or is there an opportunity to look beyond traditional accept-or-reject decisions to build a more customer-centric revenue management system — one that builds on new customer insights to drive management decisions and uncover new sources of revenue?